1 Million for Work Flexibility has more than 80 organizations on board to date as part of our coalition—and counting. We’re pleased to share more information about our supporter Take Back Your Time in today’s “Spotlight On…” post. American workers aren’t using their paid time off—to their own detriment. According to an Oxford Economics study, U.S. workers are only using 77 percent of their paid time off. This disconnect equates to working for free for almost one entire week per year. The study, commissioned by the U.S. Travel Association, found that while American workers had 21 paid days off in 2013, they only used 16 of those days. That’s a total of 169 million unused days off, which amounts to about $52.4 billion dollars in lost benefits. There are various reasons why workers don’t take all of their vacation days. Some may be fearful of the massive workload they’ll return to après vacation, or feel the need to keep up with other workers in the office who take fewer paid days off. They might be afraid of being seen as not taking their career seriously. But the lack of vacation time—and paid time off in general—is leaving workers more stressed and fearful than ever. That’s where Take Back Your Time comes in. The organization aims to help people realize the importance of time off and understand that a lack of leisure time negatively impacts a person’s life—from health issues, to relationships, and beyond. 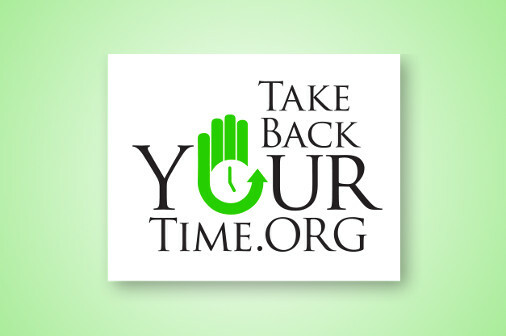 Take Back Your Time seeks to educate both employers and employees on the much-needed benefits of paid time off and also encourages policy changes to help people lead less stressful, more fulfilling lives. Take Back Your Time’s Time to Care ideas for action around leave include: guaranteed paid parental leave for the birth or adoption of a child, at least one week of paid sick leave for all workers; guaranteed paid annual vacation leave for all workers; and a limit to the amount of overtime that an employer might demand of its employees. Additional goals include making Election Day a federal holiday and making it easier for Americans to choose part-time work by implementing fair hourly wages and pro-rated benefits for part-time workers. While some employers might view vacation time as a threat to their bottom line, the opposite is actually true. A study conducted by Nielsen for Diamond Resorts International found that workers who take a vacation are nearly twice as likely to report being happy and satisfied at work than those who skip their vacations. And countless studies have shown that workers who feel that they are valued at work will be far more productive and engaged than those who don’t. When employers encourage their employees to use all of their paid vacation days as a sign that they are respected and valued, it’s a win/win for both employers and employees.